A certified nursing assistant is considered as a team player, when it comes to tasks and responsibilities. While, working under the direction of the nurses, a CNA delivers a high quality of care to patients. A CNA has to work for long hours, and that’s when, he/she has to take charge of many crucial responsibilities on a daily basis. 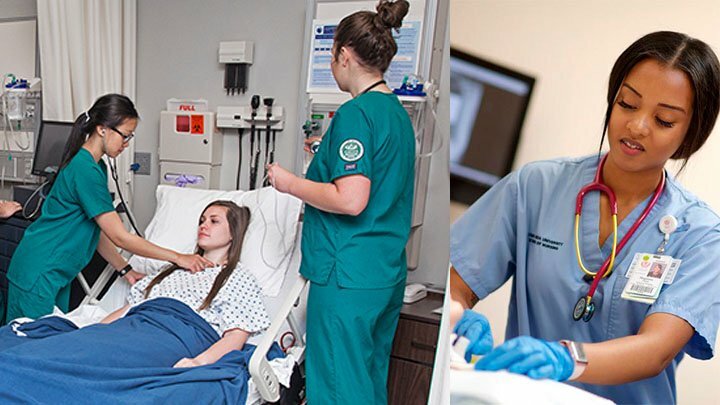 However, all the efforts worth your toil as the skills and experiences, you gain as a certified nursing assistant, open multiple opportunities for long-term career in this field. A CNA has to take charge of every personal hygiene related activities for a patient. This might include providing bedpans, baths, urinals, back rubs, shaves, shampoos and etc. You might also have to support the patient by assisting him/her to the bathroom and helping in taking showers or baths. After being a CNA, you also have to assist patients in their routine activities, like serving meals, feeding the patients, ambulating and positioning the patients, supplying fresh water, nourishment and meals to the patients. A CNA has also to be prepared for providing adjunct care activities to the patient by administering douches, enemas, ice packs, surgical preps, heat treatments, sits and therapeutic baths, applying restraints, no sterile dressings, etc. You also have to uphold a patient’s stability by noticing and reading their vital signs. These include measuring weight, quantifying the urine, recording the intake and output of food, etc. To provide the patients comfort, by making use of resources and materials; also comes under a CNA’s responsibility. This includes transporting patients, responding to patients call lights, reporting the observations to the supervisor, etc. You might have to complete the forms and maintain the logs, reports and records of a patient. You also have to maintain your job duties, while following policies and procedures of the facility you work. You do not only have to work hard for the organisation, but also need to preserve the patient’s information undisclosed. This will keep the facility’s reputation encouraged. You have to be obliged and serve the hospital community by adhering to their professional standards. You do not only have to follow the hospital guidelines and procedures, but stick to the federal, state and local requirements, as well. You must participate in educational opportunities, read professional publications, participate in professional organizations and maintain licensure, to keep the job relevant knowledge updated. A CNA must have practised well for doing some crucial processes of a patient, like catheterizations, irrigations, suppositories, enemas, douches, massages, etc directed by a physician or a nurse. As patients usually are not in a condition to take turn frequently on their beds, or do other necessary work themselves. Hence, this also becomes a CNA’s duty to conduct all these for such patients. In order to treat a specific patient, who requires special treatment or food; you might have to serve food to them. Once they have finished their meals, it might be essential for you to collect the food trays to calculate their daily intakes. This may include supplying and draining the bed pans, directing exercise routines and applying dressings. Moreover, you may also have to help the patients, while walking, exercising and coming in and out of bed. Shifting a patient to the treatment units with the help of a wheelchair or a stretcher also comes under patient care. Turning and re-positioning of a bedridden patient, doing it alone or taking anyone’s assistance, also a necessary patient care treatment to prevent bedsores. In some instances, you might also have to handle these. Taking urine samples and feces or sputum specimens for lab testing is also one of the major tasks of a CNA. There may be times, when you need to explain all the facility policies to the patient’s family members. Before, conducting any medical activity for any patient, it is imperative that you make them understand about the entire procedure. You may also have to store, prepare, sterilize and issue supplies; like dressing packs, treatment trays, etc. Processing documents or scheduling appointments; these may also come under your job duty. Organising equipments, like oxygen tents, manageable x-ray machines, overhead irrigation bottles, etc. Besides, these main duties and responsibilities; a CNA also needs to provide emotional support to the patient. All these, together bring a positive change in any patient’s ailing conditions. However, being a certified nursing assistant; you must always be prepared with a positive approach, to take the upcoming challenges of the nursing profession.